This is the future of driving. What would you do if you could magically reclaim all the time you spend behind the wheel of a car? Ultimately that’s what a future filled with autonomous vehicles is promising. There are many questions about what autonomous vehicles will be able to do, how reliable they’ll be and how much they’ll cost. But development is far enough along for people to start thinking about what drivers would do with all that free time were it available. Some people imagine sending their cars to pick up milk from the store, having the family car drive little Emily to her soccer practice, or getting into pajamas and curling up to sleep during an overnight long-distance drive. It’s hard to know, though, what people will really do once self-driving cars are common. Part of the problem, of course, is that we don’t yet know what the technology will be capable of and how much it will cost. But even if we did know this, it is still hard to predict what people will do with a new technology: The Bell Labs engineers who in 1947 invented the semiconductor transistor could not have foreseen their device leading to online shopping, unprecedented globalization and emojis. In a recent paper, my co-authors and I tried to figure out what might change in a world of self-driving cars by looking at how people use their time. We found groups of people who might save large amounts of time by using self-driving cars, and identified what they might do with all that spare time. Governments and researchers around the world study how people use their time by asking people to fill out time diaries: lists of what activities they do, where and with whom, from when they get up in the morning until they go to bed at night. Governments work hard to get a representative sample of the population, sometimes offering small monetary incentives to those that complete them. In the U.S., the Bureau of Labor Statistics gathers around 11,000 daily time diaries each year. A co-author and I have previously used these data to identify wide variations in how much time Americans spend watching television: 14 percent of the population watches 7.7 hours a day! Because time diaries document people’s use in the past and the present, it’s hard to use them to explore potential future changes from radical shifts in technology and lifestyle. For our research, we identified groups of people who might save the most time if they used autonomous vehicles, and imagined their lives becoming more like those of otherwise similar groups who drive less. For instance, we looked at commuters who drive for long periods to and from work. Many U.S. workers drive a lot: 19 million drive 2.5 hours a day. In contrast, 78 million other workers drive about one hour a day. The differences in time diaries from members of each group suggest that the people who drive longer do less of other activities to make time to commute. Specifically, people who drive longer get 30 minutes less sleep, watch TV a half-hour less and do 30 minutes less work than their counterparts who drive less. If an autonomous vehicle were available, those long-duration drivers would presumably be very interested in catching up on sleep, favorite TV programs and perhaps even some work. There are also public transit riders who spend a very long time traveling each day. About 1 million people spend a whopping 3.8 hours a day riding buses, trains, subways and other forms of transit. Another 3.8 million spend 1.8 hours on transit vehicles. Though they can use mobile devices, people who spend more time on transit are, like the drivers, sacrificing sleep, TV watching and work to get the extra travel time. 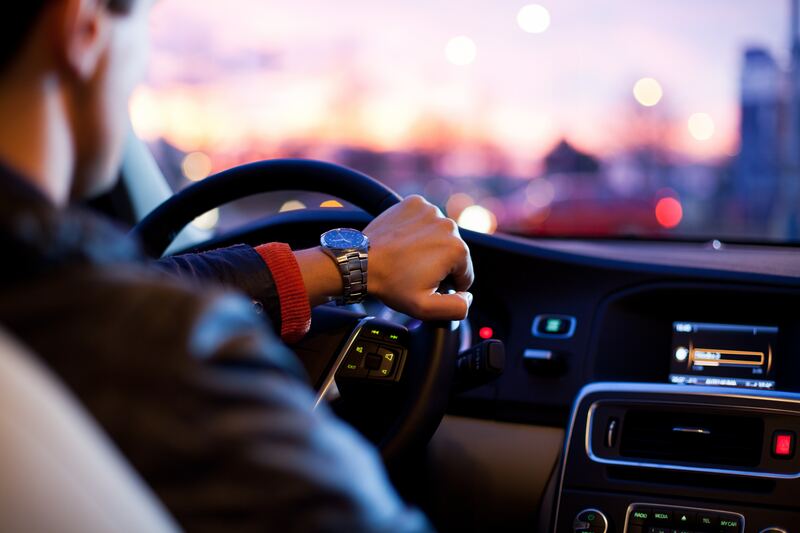 Autonomous vehicles can also help people get around if they’re unable to drive – for instance, because they’re too young, too elderly or otherwise medically or physically restricted from driving. When we looked at elderly people, we compared differences in how retirees older than 75 use their time, compared to younger retirees between ages 60 and 75. The older group travel 14 minutes less each day than their younger counterparts. They also shop 7 minutes less and socialize 8 minutes less each day. That adds up to around 30 minutes a day less time outside of the home, much of which is spent sleeping more. It may be many years before it’s clear how people changed their lives to adapt to the advent of autonomous vehicles. And the societal changes in traffic, commerce and media consumption may take even longer to measure. But our research suggests there are plenty of activities people might want to take up to fill the time they now spend driving or in transit. Personally, after the technology is proven safe, I look forward to taking my hands off the wheel to enjoy the view and let my mind wander.